Friendly New Toronto neighbourhood full of young families, professionals, ‘empty nesters’, pet lovers and outdoor enthusiasts. Enjoy the luxury of being a short 1/2 block to the Lake! Warm, inviting family living room with gorgeous stone fireplace, pretty stained glass windows and pristine hardwood floors with decorative in-lays! Gourmet kitchen! Luxurious spa bathroom with heated floors! Fully landscaped front & back, private fully fenced yard and interlocking brick patio. Rare private drive, parking for 2 cars! The location can’t be beat! Close to great shopping, schools, restaurants, TTC/GO, major highways and blessed with a bevy of waterfront parks. New Toronto! Toronto's Western Beaches!!! 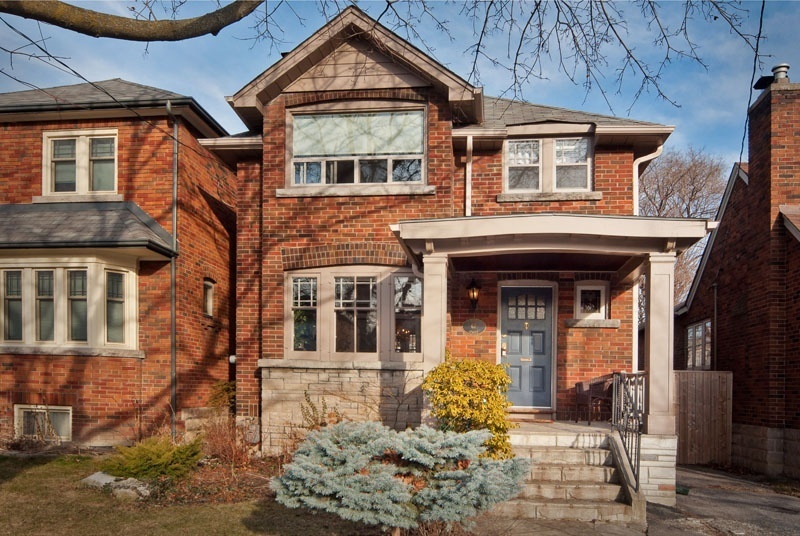 A truly one of kind quiet suburban pocket so close to the best of Toronto’s amenities. 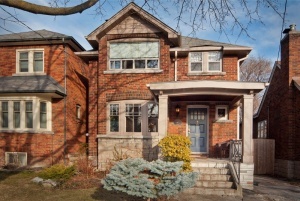 Prime location in New Toronto, well south Lakeshore, 1/2 a block to Lake Ontario! This is one of Toronto's west-end waterfront neighbourhoods well known for its scenic lakefront parks and excellent recreational facilities. Burgeoning neighbourhood with much more planned. The "Lakeshore Village" shopping district, located along Lake Shore Blvd West, is a busy retail corridor that features a wide mix of food markets, bakeries, delis, coffee shops, drug stores and specialty shops. Additional restaurants, movie theatres, & big box stores a short distance away in The Kingsway, or along the Queensway. Sherway Gardens high end shopping centre is just minutes away. Or it is a quick trip to the downtown core for more action! The New Toronto Public Library is located up the street on Eleventh, south of Lake Shore Boulevard. A hub for many children's groups & activities. Well-regarded schools… Seventh Street J.S., Second Street JMS, Saint Teresa Separate School, Father John Redmond Catholic School, Lakeshore Collegiate, Humber College Campus to name but a few! Transportation is a snap! Bus service along Lake Shore Boulevard West provides connecting routes to the Mimico and Long Branch Go Transit stations or head to downtown Toronto's Union Station via TTC streetcar which is part of the Yonge-University-Spadina subway line. Motorists can be in and out of the city in just minutes along Lake Shore, The Gardiner and the Queensway. Short drive to Pearson Airport. 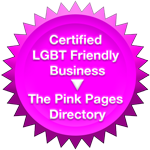 Easy access to Port Credit, Mississauga, Oakville etc. LOTS of local recreation! Colonel Samuel Smith Park includes the first Wetlands-Wildlife Restoration trail on the Great Lakes. The new skating rink at Colonel Samuel Smith Park is Toronto’s first artificial ice rink that is a trail rather than the traditional oval hockey rink style. The figure 8 design of this skating rink winds through the parks lush landscape. This skating trail is lit by overhead lamp posts for night skating. These lamp posts are fitted with speakers that play Christmas carols during the holidays. The Lakeshore Yacht Club is also based in this park. New Toronto's smaller waterfront parks include Cliff Lumsden Park, Prince of Wales Park and Rotary Peace Park. Cliff Lumsden and Prince of Wales Parks offer magnificent views of the Toronto waterfront. The Prince of Wales Park also features an artificial ice rink, a wading pool and a children's playground. Rotary Peace Park features a new outdoor swimming pool, a large baseball diamond, two tennis courts, and a children's playground. Adjacent to this park, overlooking Lake Ontario, is the New Toronto Lawn Bowling Club. 67 Eleventh Street ~ A lasting first impression! Park both cars in the private drive, enjoy the extensive landscaping and plantings, the pretty curb appeal includes a welcoming covered flagstone front porch. Gracious front foyer complete with newer slate floors, stained glass windows and coat closet. Entertain friends & family in the charming living room, painted in neutral warm tones and rich hardwood floors with custom inlays. Classic character is retained with the 2 sets of original stained glass windows, art display niches and wall of front facing picture windows. The focal point of the room is the cosy wood-burning fireplace and mantle with stone surround. Family sized dining room will host all your large dinner parties. Hardwood floors, plate rail, deep baseboards, decorative crown mouldings and ceiling medallion, 2 picture windows overlooking the gorgeous back garden. Cook up a storm in the stunning renovated kitchen. New custom Caesar stone counters, limestone backsplash , stainless steel appliances, hardwood floors and lots of windows. Spacious second floor landing with period style built-in linen closets! Master bedroom is filled with light from the picture window, hardwood floors and closet. The second bedroom with a window facing the back has hardwood floors and a closet. Third bedroom complete with hardwood floors and front facing windows is the perfect nursery or home office. Spa-inspired luxurious renovated main bathroom! Heated marble floors! Oversized glass enclosed shower with built-in seat and subway tile surround, double sinks with marble countertops, and 2 sets of windows. Expansive open concept lower level is a blank canvass for you to create whatever space will suit your personal/families needs. Plenty of play area for kids, and a multi-media room. Separate side entrance. Large cold cellar, laundry and storage. Spacious outdoor private property! Extensive professional landscaping, blossoming trees & bushes, Japanese Maple, and gardens that will bloom throughout the seasons. Entertain outdoors on the back patio and plus safe kids and pets playtime in the fully fenced yard. 2011 ~ Upgraded Caesar stone counters, freshly painted.